Hello and happy new year! 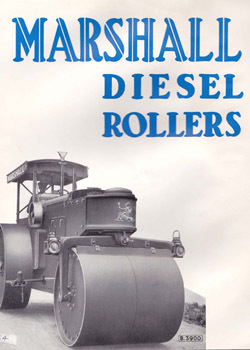 Welcome to the first blog post for 2015, which starting very much as we finished last year, looks at some of the ongoing projects in and around the RHEC, the current focal point for T&I (Transport & Industry) activity at Beamish at the moment. The site is being cleared of festive decorations, lighting and cleaned and some areas cleaned and tidied ready for a brief slumber ahead of the rather earlier than previous years opening at the beginning of the February half-term. We are on more or less full operation for that week, before settling down into the winter opening for just a few more weeks – then at the end of March we turn up the volume once again and launch into full opening in time for Easter. So, with this ever-narrowing maintenance window in mind, much of the pre-Christmas staff time has been taken up planning and preparing for the six weeks turnaround of the site. Visitors will notice a lot of scaffolding appearing in the Town (Ravensworth Terrace, Sun Inn and Signal Box). The T&I team also has the Site Support function for the Museum, and so a great deal of the team’s time this winter will be taken up with some essential building works and redecoration in the Town area. Perhaps a little outside the scope of this blog but worth mentioning as it is largely the same team, albeit wearing different hats! 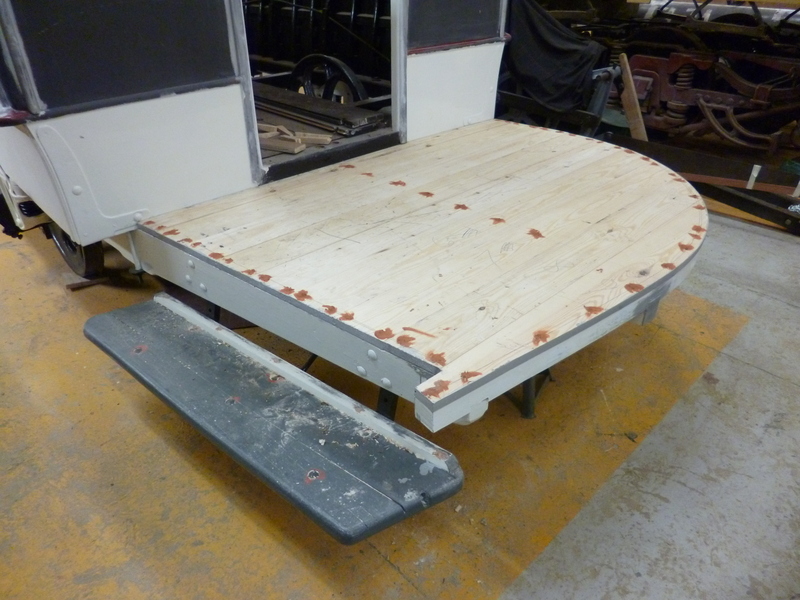 Below: Narrow gauge wagon restoration continues with the adaptation of the Hudson waggon and also restoration of the FR granite waggon – the latter is stripped and has been shot-blasted and primed, with the floor being removed to expose the spine for overhaul (which will entail some renewal – all of the coupling loads through the waggons, and therefore the train, are though these spines, so structural integrity is vital). 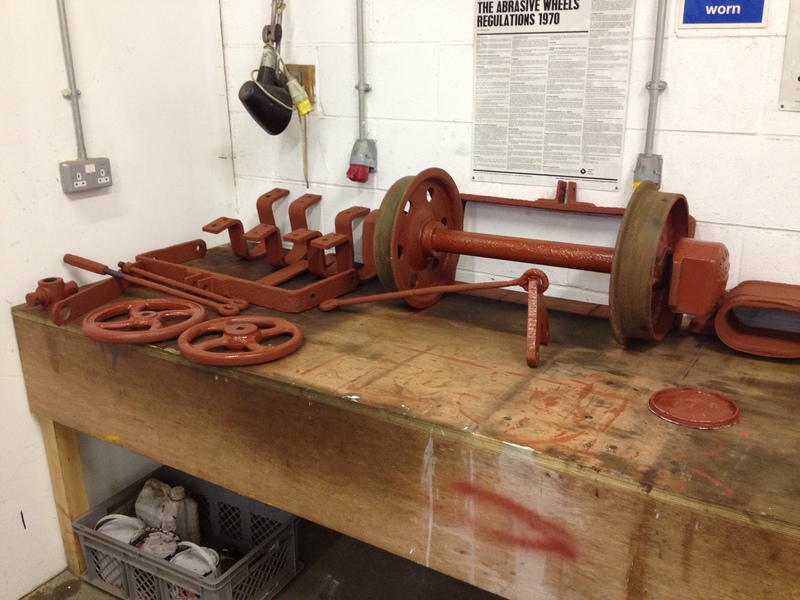 The chassis of the Hudson waggon, now the ‘Joicey Waggon’ is complete, and is seen in primer. 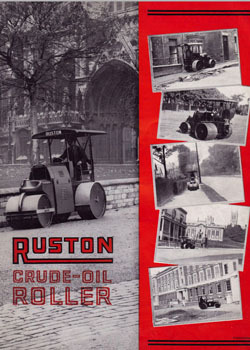 It has since been painted black, along with all of the associated running gear and brake components. Work on the body will start next week. 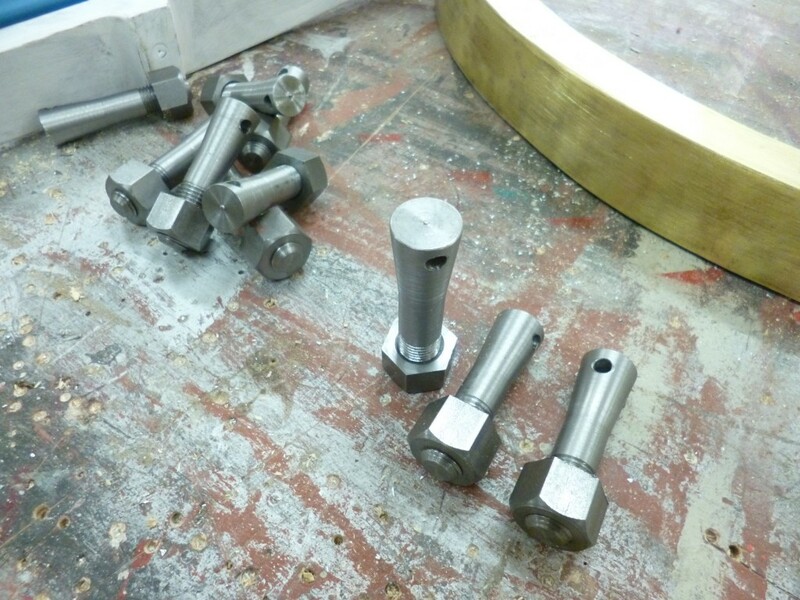 Below: Some of the components, awaiting their black finish. 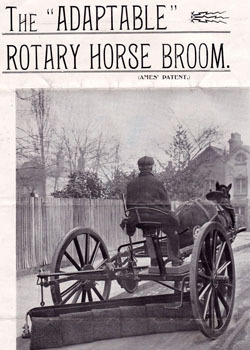 This being a prototype waggon, a production design has been developed to enable us to produce a fleet of suitable rolling stock for use in the Colliery, based on numerous examples of Victorian and Edwardian narrow gauge stock rather than a specific example, and designed for production to be as swift as practicable. 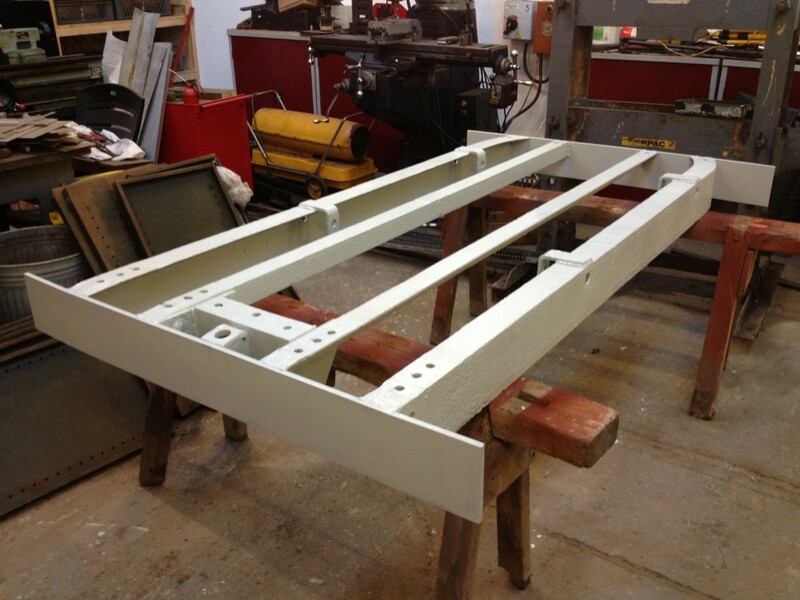 Below: The small group working on N&G 49 are currently focussing their attention on the platforms, with one end completed and prepared for painting. 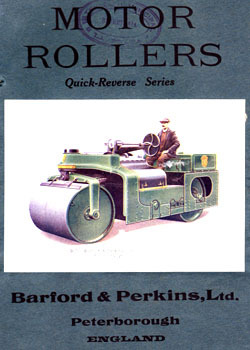 Below: A multitude of small jobs are being undertaken on the 1925 Barford & Perkins motor roller (chasing an appearance at April’s Great North Steam Fair). Seen here are the levers which control the throttle (to the carburettor) and magneto (to advance/retard the spark). 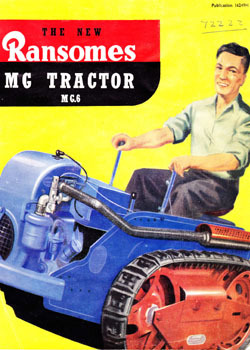 Below: With the magneto in place, the rodding and reversing crank (which changes the direction of the throw as well as the ratio) are visible running to the right of the mag and up to the blue painted crank which is moved by the throttle lever. Below: A close up of the advance/retard crank showing how the degree of throw is adjusted by the ratio of pivots from the central location. 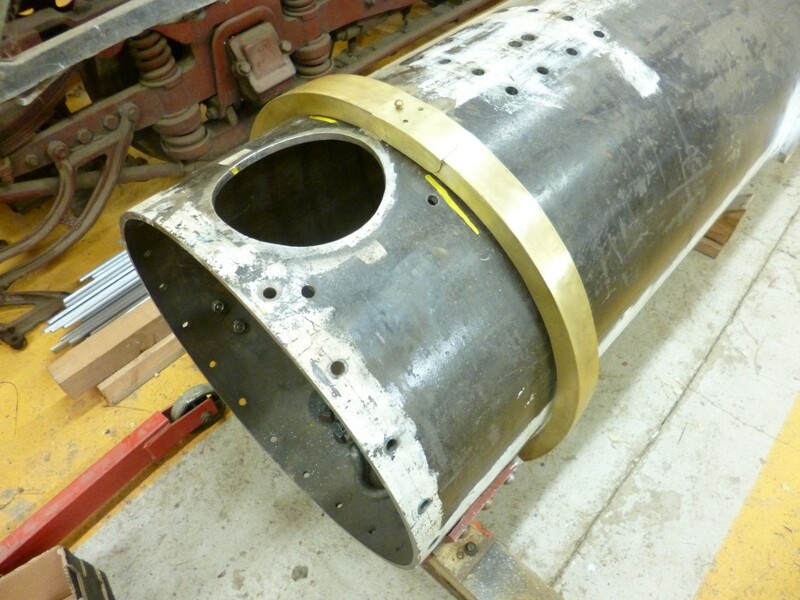 None of this had survived and is therefore based on what was probably fitted, gleaned from existing holes and the restoration team’s extensive engineering experience and restoration background. Below: Its been a while since we’ve seen Samson reported here. 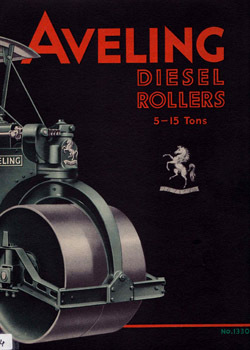 We await, eagerly, news of the wheelsets which are being assembled at Statfold Barn, hoping for a return of the rolling chassis very soon. 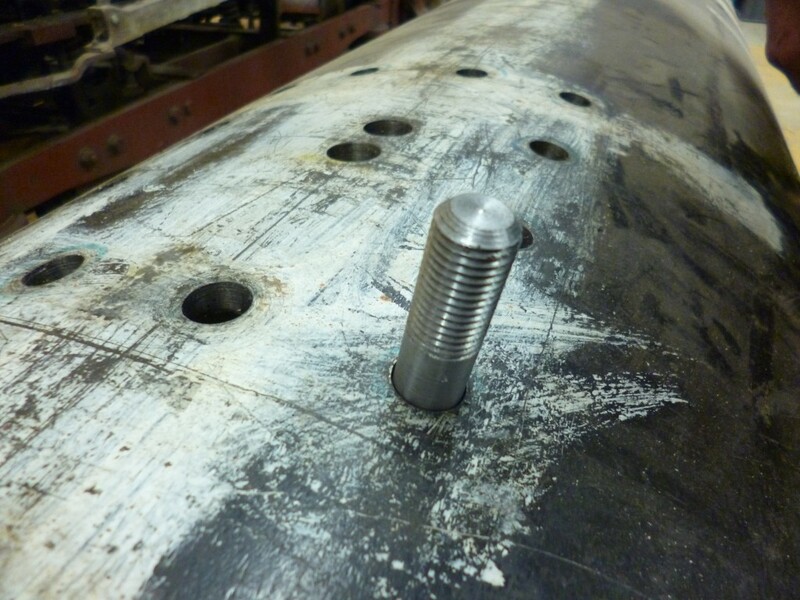 Meanwhile we are waiting on delayed production of boiler components, which once produced will enable the dash for the finish line to begin. Dave has been able to progress other jobs, but as with Dunrobin, we are reliant on sub contractors before main contactors/RHEC volunteers can progress the jobs. 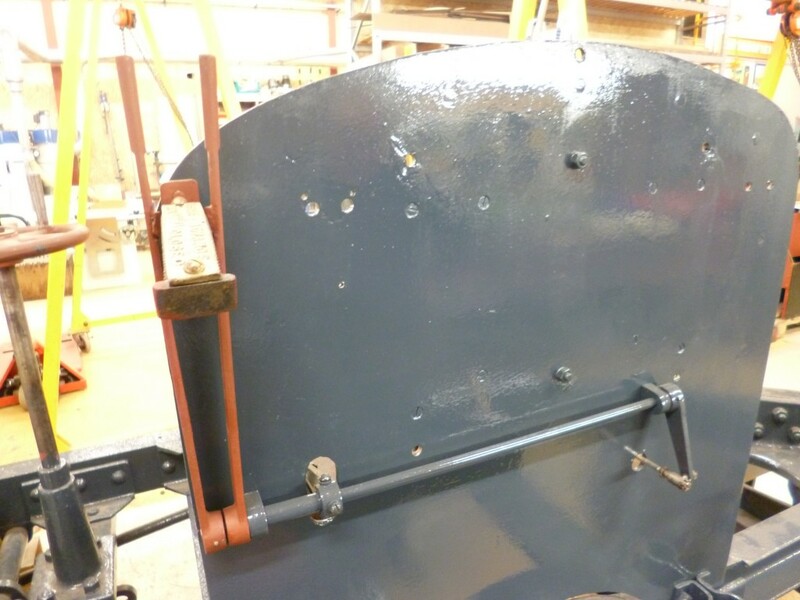 Here is the front boiler cladding trim for Samson, trial fitted on the boiler shell. 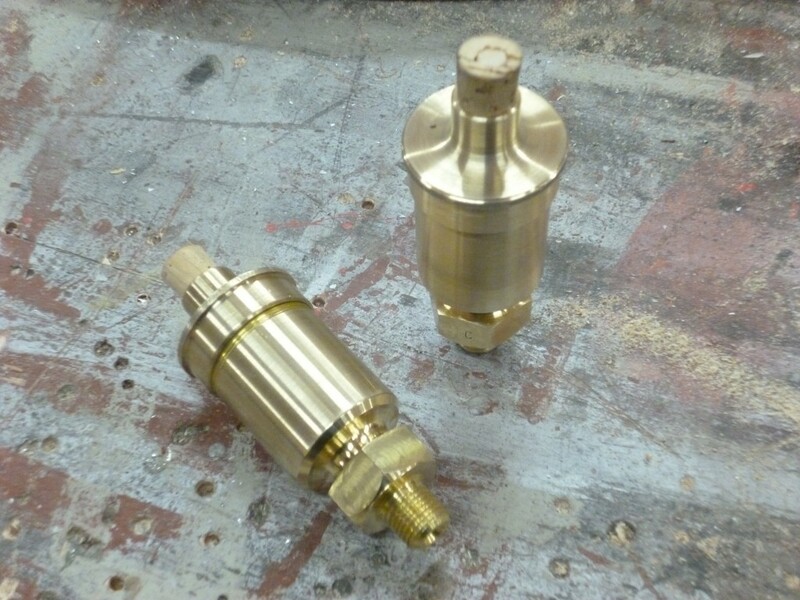 Below: Dave Young has also produced the lubricators for the coupling rods – seen here – complete with their corks. 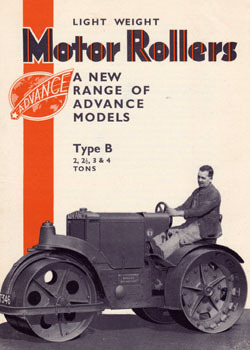 These have been machined from solid, rather than castings (as was the case with No.18’s which are of the same design). 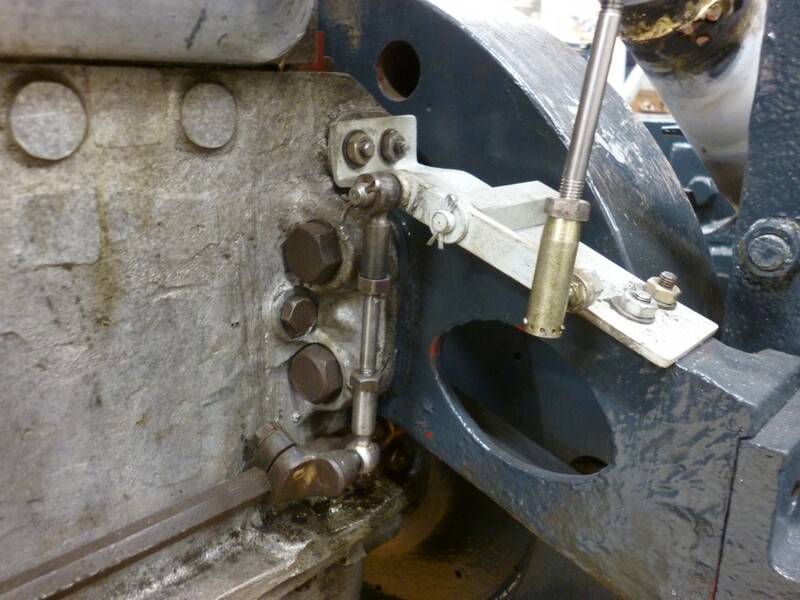 Below: Dave has also manufactured the carrot bolts – these hold the cylinder block in place. 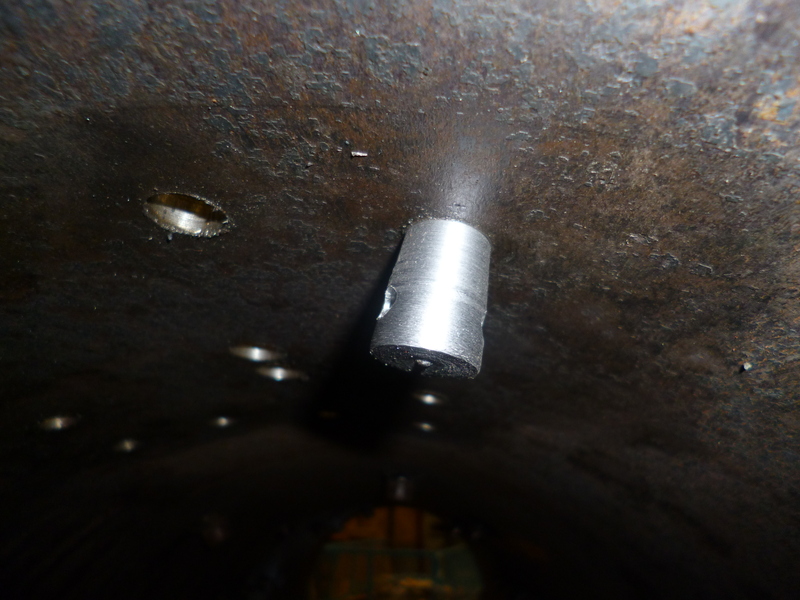 Below: This view shows a carrot bolt held in place to show the principle and how the taper ‘grabs’ the hole in the boiler shell. The holes are a device to allow them to be strung together – a precaution against dropping any during fitting as the only access will be via the hand-hole in the front tubeplate. Below: The top of a carrot bolt, seen protruding from the shell. 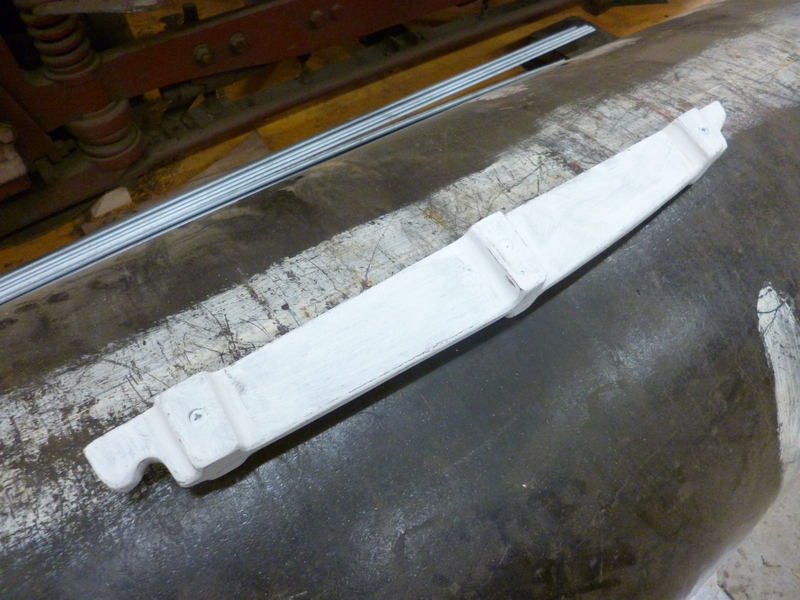 There are two lengths – to accommodate different thicknesses in the cylinder block saddle casting. 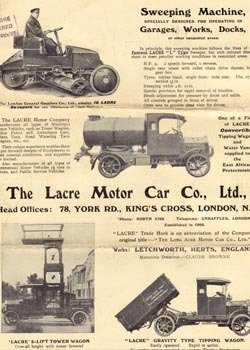 The rectangle of holes seen here are those which secure the block, whilst the middle two are for steam to pass from the boiler into the space at the base of the cylinder block (offering some protection against priming as a result of surging water when the engine and therefore boiler and its water level, are in motion). Below: Dave has also made the pattern for the firebars, which includes a ‘lip’ and ‘hook’ to locate it on the grate supports. 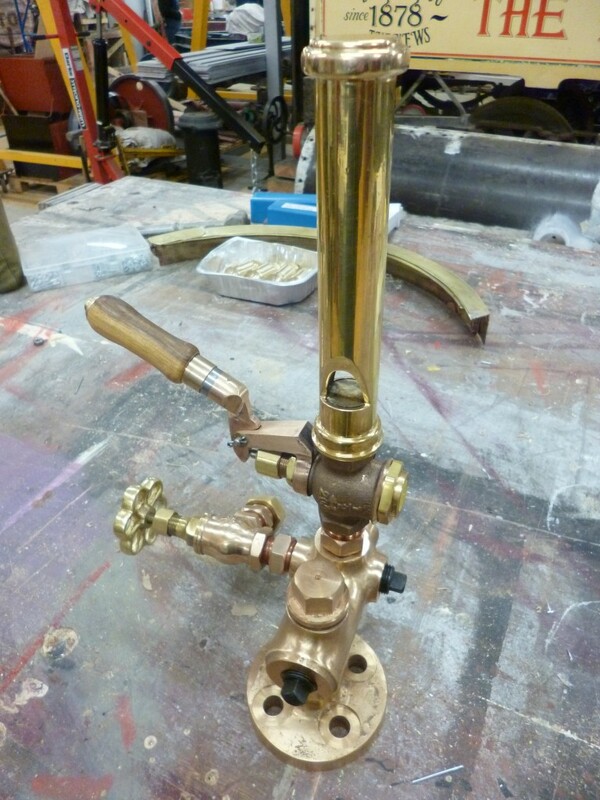 Below: Two views of the whistle and valve mounted on the steam fountain – the whistle itself is a Burrell type (I like the sound and also being able to identify all of our locomotives without being able to see them! ), with a modified steam valve arranged to enable a ‘pop’ to be sounded – long whistle blasts are also possible. 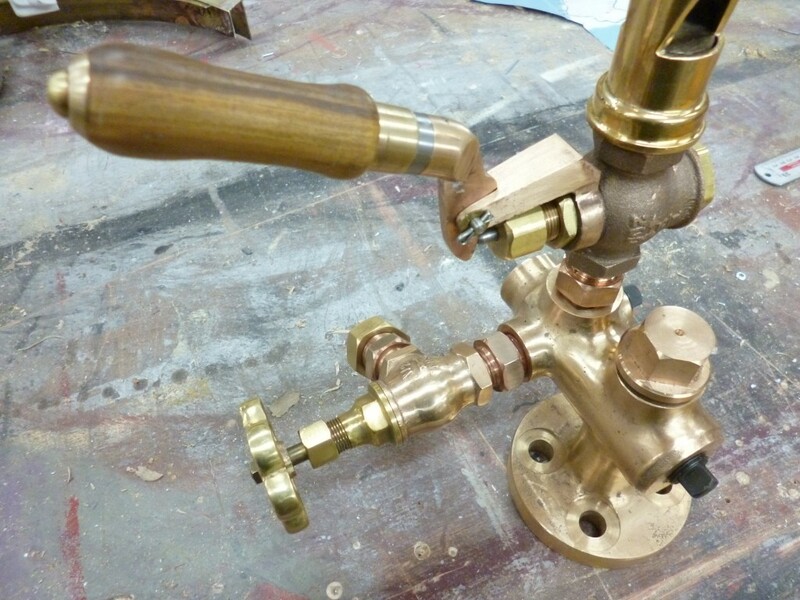 Note the orientation of the whistle flute apertures – to blow steam away from the fitting rather than over the operator’s hand! 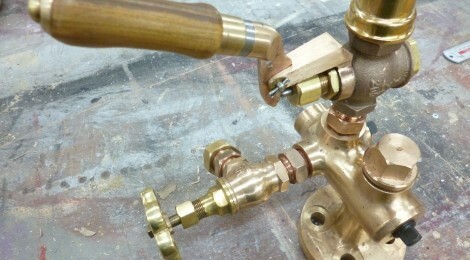 The handwheel visible is the injector steam valve. 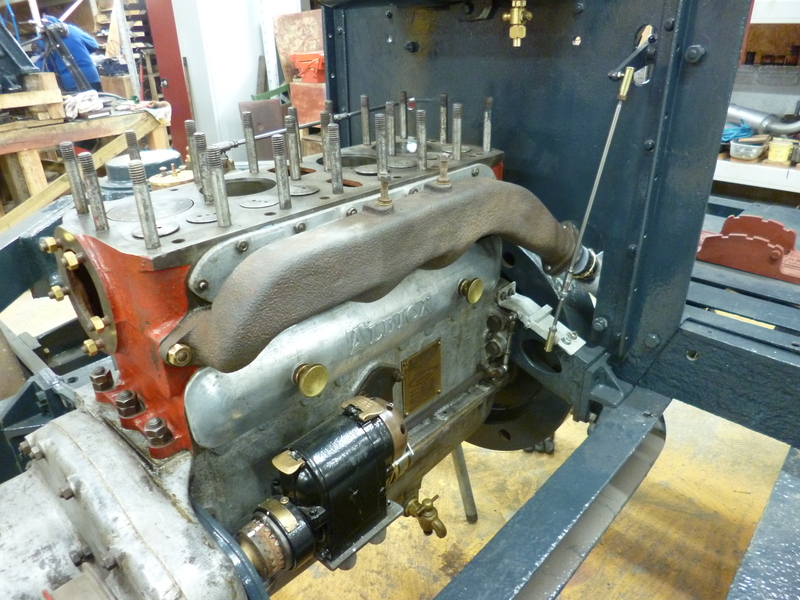 The pressure gauge is also taken from this point, whilst the blower is taken from the cylinder block rather than the fountain. 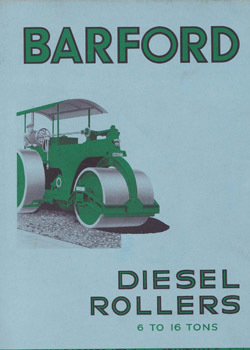 There is not a second injector, as a mechanical pump is driven from the crankshaft per usual traction engine practice. 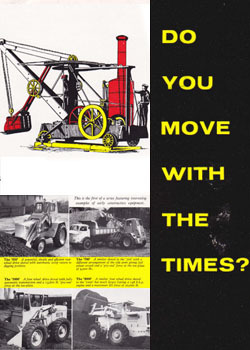 Below: We have a long list of ‘must do’ jobs to do on site. One which we will look at in the summer is the adaptation of the currently empty goods/parcels office into a store and mess room for staff at Rowley Station. 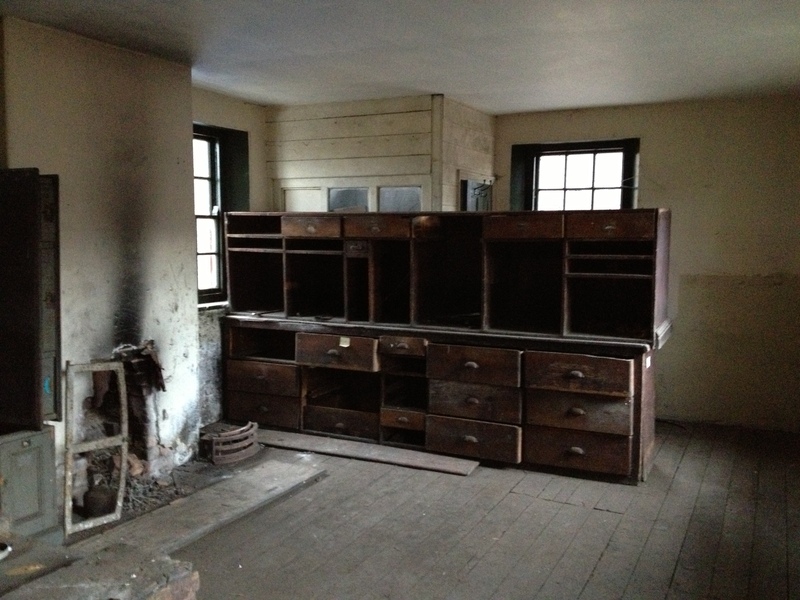 This will also involve reinstatement of the fireplace and some interior partitions to create some storage for various pieces of equipment and related materials. 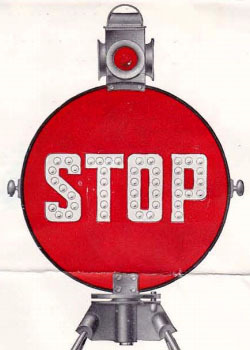 It should also mean one less ‘closed door’ in this area and a sign for above the door will be made, a replica of the NER type shown in their own drawings register. With the work on the adjacent Council Depot due for completion this spring, plus redecoration of the station over the year, this part of the site should be much improved for visitors, staff and volunteers by the summer season. I’d also like to take a look at the level crossing gates here, as they are somewhat larger than is needed. Needless to say the work to complete the loco servicing facilities here are also in the forefront of my mind! Busy times! 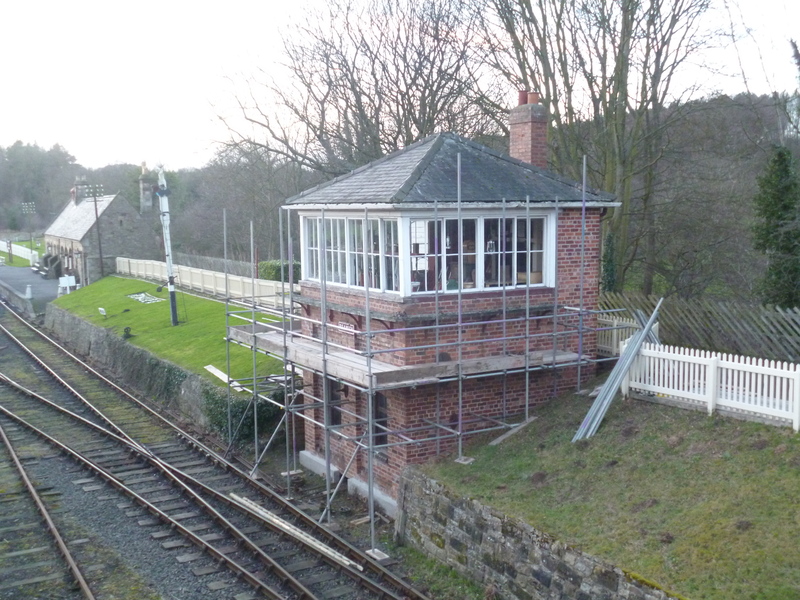 Below: The signalbox at Rowley is now scaffolded in readiness for refurbishment work to commence imminently. So, we start 2015 as we finished 2014 – busy! Do stick with he blog for the latest (and definitive i.e. accurate!) 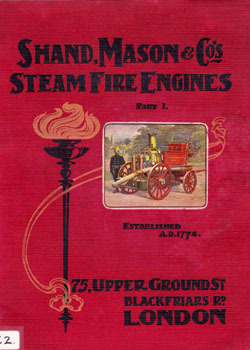 news on the transport and industry collections at Beamish.